If you are a vinyl collector, then you know that vinyl storage can be a real nightmare. Vinyl records are heavy, they take a lot of space, and they are just too many. So, what is the best way to store records? 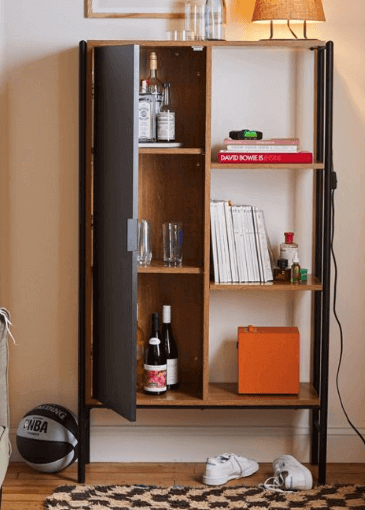 In this article, I’ll show you 20 cool vinyl storage solutions. Especially if you are a vinyl record collector. You see, there is something about vinyl that makes people obsessed about it. After a certain point, it’s not about the music or the songs that you love. It’s about having more and more vinyl records; until you reach a point where the time you have in your life, is not enough to hear the vinyl records you have collected. And, with great vinyl collections, comes great responsibility. You have to find the space and the ways to store your vinyl correctly. So, what are some general practices when it comes to storing vinyl? Well, it’s because warped vinyl records are almost impossible to fix. Thus, storing vinyl records horizontally is essential. Here is another critical practice for storing vinyl. You have to keep your vinyl records (and their covers) dry and away from radiators or anything hot. Unless you want to listen to a vinyl record, there is no point in removing it from their sleeves. Keeping your vinyl records in their sleeves protect them from moisture or dust. Even though we’ve just mentioned it, keeping your vinyl away from the dust is essential when storing vinyl. So, make sure to keep your vinyl collection away from the dust, or at least clean them as often as possible. Keeping your vinyl dry and cool. Depends on the storing solution that you are going to choose. If you want to learn more about the storing solutions that there are available, just keep reading. So, now you know some general rules when it comes to storing vinyl. But, this is not why you came here for. You came here because you want to know the best vinyl storage solutions. Below, you will find some of the best ways to store vinyl. This is the first vinyl storage solution. It’s not suitable for a whole record collection. 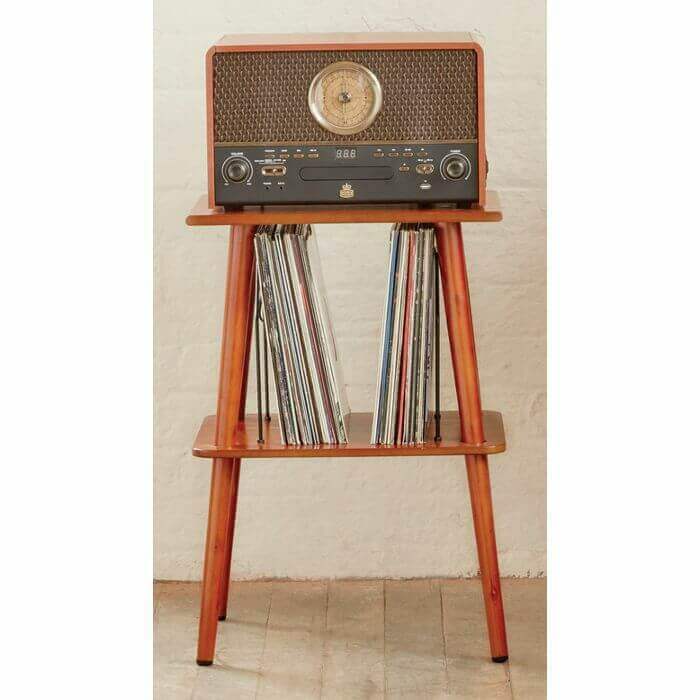 But, the vinyl record holder is ideal for 40-50 vinyl lp records. 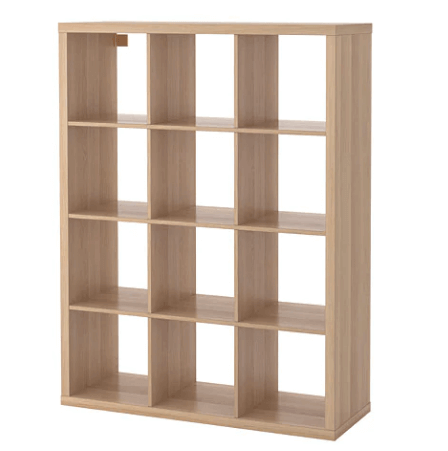 As you can see, a vinyl record storage shelf is ideal for vinyl collections of 150-200 vinyl lps. The top of this vinyl record storage furniture can be used for other items you may have, such as a record player or speaker. Keep in mind that you don’t have to buy one. You can always build your own record shelf. And, you can extend it so that it can store more records. This is the third vinyl storage solution. As you can see, it’s practical and can easily fit in your living room. I highly recommend it for small vinyl collections. This vinyl record box comes in different colors and sizes. The record crate is a modern vinyl storage furniture for small record collections. With its natural colors, it can be a great addition to your living room. I highly recommend the record storage crate if you are on a tight budget and still want something modern and not heavy. This is another cool vinyl storage solution. It’s an excellent solution for your vinyl LPs, and it’s a great addition when it comes to decorating your space. Are you looking for cool record storage? This one is ideal if you are serious about collecting and storing vinyl. And, it comes in different colors. 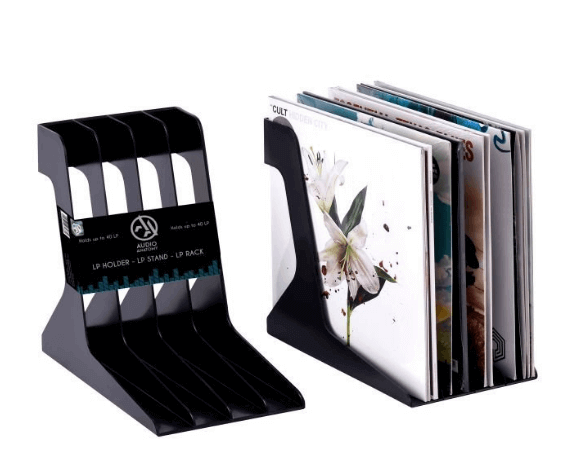 One of the best vinyl record storage stands. It is also a relatively cheap vinyl record storage solution. You can use the top to place your record player. If you are new into this, you should check it out. It’s a wooden record storage solution for small record collections. 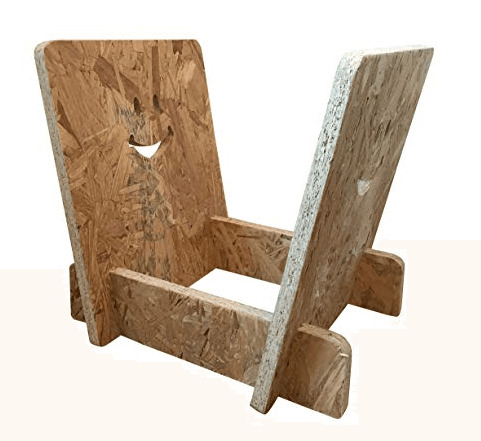 It is an environmentally friendly solution that was made in the UK. You don’t need any tools to assemble it, and you can start using it right away. The LP Rack Display Stand by Audio Anatomy is a minimal vinyl storage solution. You can place it on the floor of your living room or even on a table. It’s not ideal for significant record collections, but it’s great as a decorative element. The American manufacturer Hudson Hi-Fi manufactures the vinyl wall storage (or wall mounted record storage). It is ideal for music enthusiasts who are interested in decorating their living room or house. This is a vinyl storage solution that you can create yourself. Because you can make as many LP storage boxes as you need. It’s a handmade record storage solution for small record collections. Another unusual way to store your vinyl. It’s a cheap solution for vinyl collectors who want to have their favorite records available for a spin at any time. It may look like a supermarket basket, but it can do the work. It is a high-quality storage solution for your vinyl collection. If your collection is more than 2,000 – 3,000 vinyl records and record LPs, you can keep the important ones in this storage unit. This way, every time you want to listen to a record, you won’t have to search for hours. This is an elegant and minimal vinyl storage solution. As you can see, you can display your favorite vinyl records with style. A vinyl record stand is also cheap and can be assembled in zero time. Here is another fantastic storage solution for your vinyl records. That you can have half of your vinyl records inside and half of them inside. A classic IKEA vinyl storage solution. You can use it both as furniture and as a shelving solution for vinyl. It’s made out of wood and comes in different colors. This model has 12 (3*4) individual boxes. 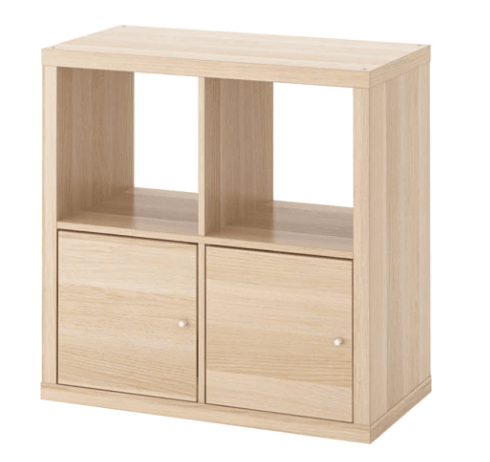 It is stable and has IKEA’s well-known superior quality. This is one of IKEA’s best vinyl storage solutions. On the top, you can store other items like a lamp, turntable or speaker. 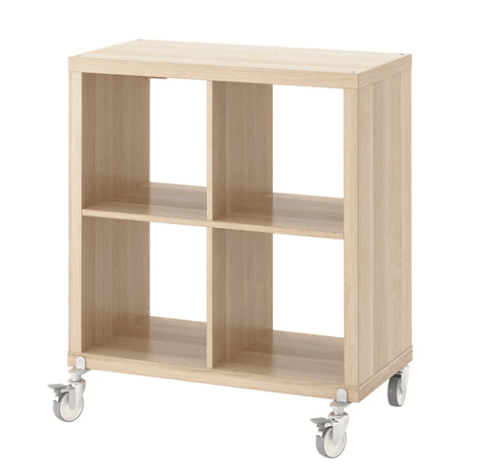 You can move it inside your house since it has wheel castors at the bottom. This is another amazing solution from IKEA. It has doors so that you can keep things that matter inside. An elegant storing solutions for your vinyl records. Like other vinyl storage solutions, it has extra space for a speaker or turntable and even for books (on the middle shelf). It’s ideal if you are on a tight budget and have a few vinyls. 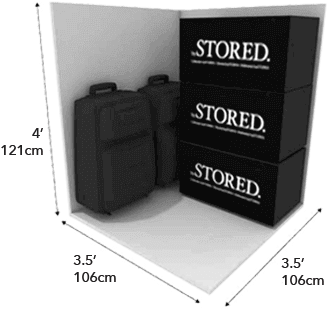 20) Vinyl Storage by bySTORED. This is the last vinyl storage solution I have for you. And, trust me, it’s essential that you know about it. This is a 12 sq. ft closet space. It can get up to 8-10 moving boxes or 4-5 large suitcases. Which means that it can get many vinyl or LP records stored inside there. Or, you can choose a bigger option for more vinyl. Have too many vinyl records to store in their house. Your vinyl records are kept cool and dry. If you want to learn more, try to reach us at 0800 808 5504 or fill in this contact form. Can Store Up To: Based on your preferences. You’ve just learned 20 new vinyl storage solutions. You will be able to help. Now, I want to turn it over to you. Which of these vinyl record storage solutions is your favorite one? Is it the vinyl storage units? Or maybe the plastic storage sheds? Next Next post: A car, a leg, a comicbook and the other strange things found in storage units.